This first picture is the one we were going to post on the site tonight. 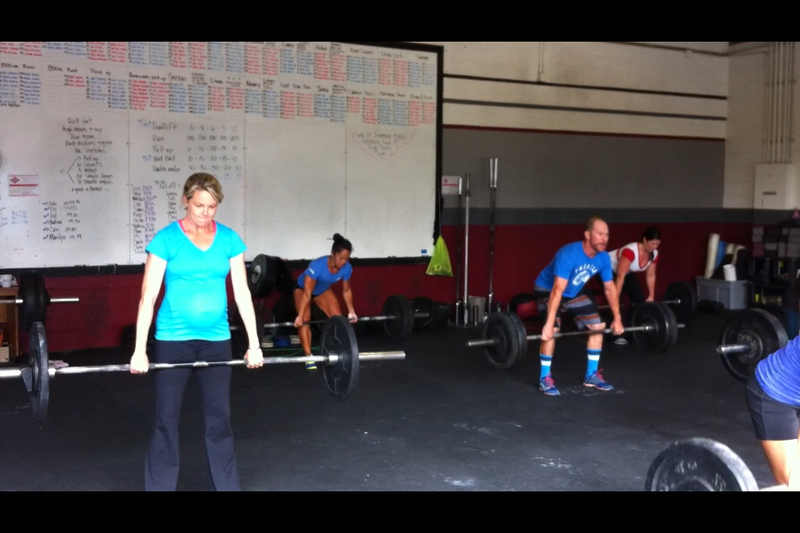 It's a photo of Beth, Annie, Shawn and Jessika starting their difficult Saturday workout with some deadlifts. This photo now has a little more significance than it did before The lovely lady you see in the front there, ended up going into labor not long after this photo was taken! And here you have, Jacob Adam Hansman, August 24th 2013. Stud!